Regular Tune-Ups are Smart whether you’re a racecar driver or a business owner. 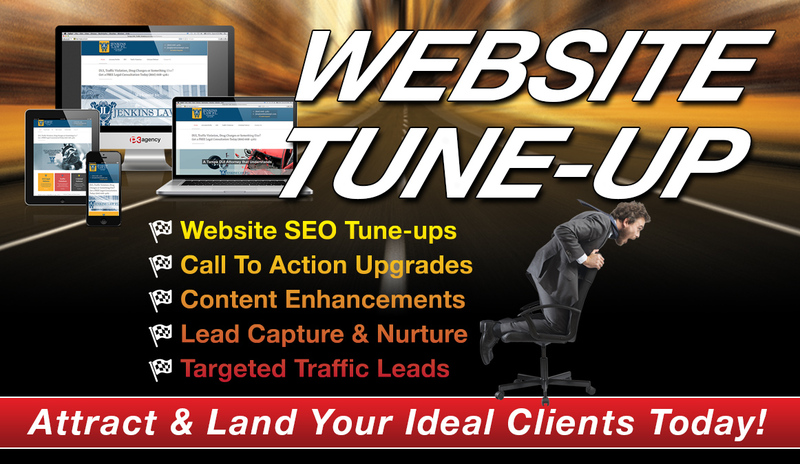 Our Tune-ups are designed to give you the ability to discover opportunities and get the higher performance from your marketing. At P3, our brand & marketing consultants can help you identify and address items to help you attract, engage, and convert more of the ideal, target clients your firm is looking for. As a 25 year old brand development and marketing services agency with a stellar history of achieving top-tier success for our clients, we do more than just Website Tune ups. Offline marketing Tune-ups are additional areas often overlooked. P3 can help your practice ensure it has a well-balance, finely-tuned Marketing Machine driving New Business from 360 degrees. Talk to us!…P3 welcomes questions and the chance to help. Please contact us at (800) 515-9422 today for Complementary Consultation to discover new and enhanced ways to attract the type of clients your firm needs to grow. We look forward to helping you generate more ideal clients! If you tell us your domain name, any competitors you’d like us to review, and some areas of your marketing that you’d like to see better results from, we’ll perform a complimentary analysis that will help you get more out of your law firm marketing.